A Tinder account has been set up for Sudan, the world’s last Northern White Rhino to help him find a mate and save the species! According to his profile, Sudan says “I don’t mean to be too forward, but the fate of my species literally depends on me”. For all the interested female Rhinos, he adds that he’s 6 foot tall, 5,000 pounds and likes to eat grass and chill in the mud. Oh, and ladies, the 43-year-old Kenyan rhino says he “performs well under pressure”. The account was set up to raise money for a $9m fertility treatment after natural attempts to mate failed. Scientists hope to use Sudan’s sperm to fertilise an egg of one of the last female Northern White Rhinos, such as Satu or Najin. 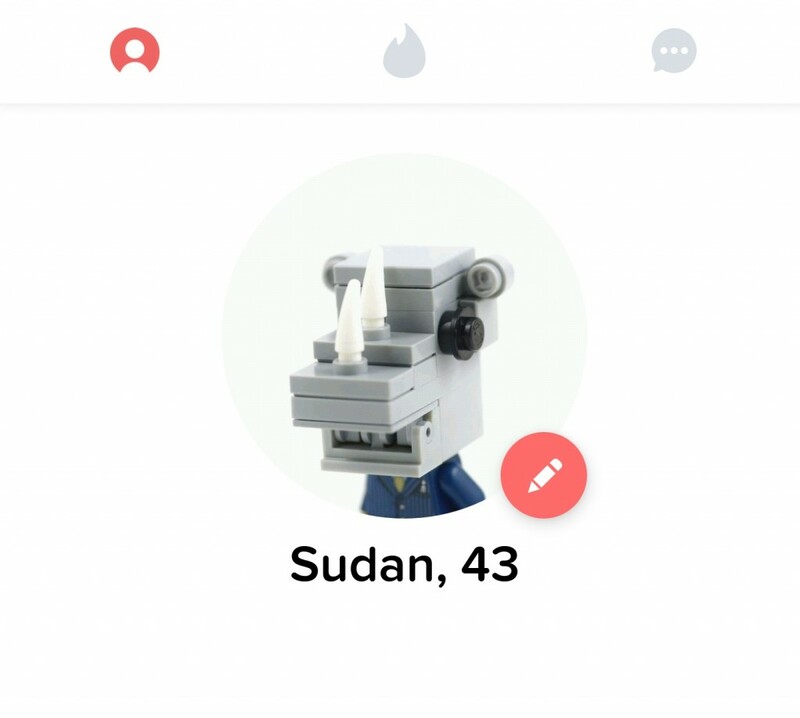 Those who swipe right on Sudan’s profile (which is available in 190 countries and 40 languages) are directed to the Ol Pejeta donation page.